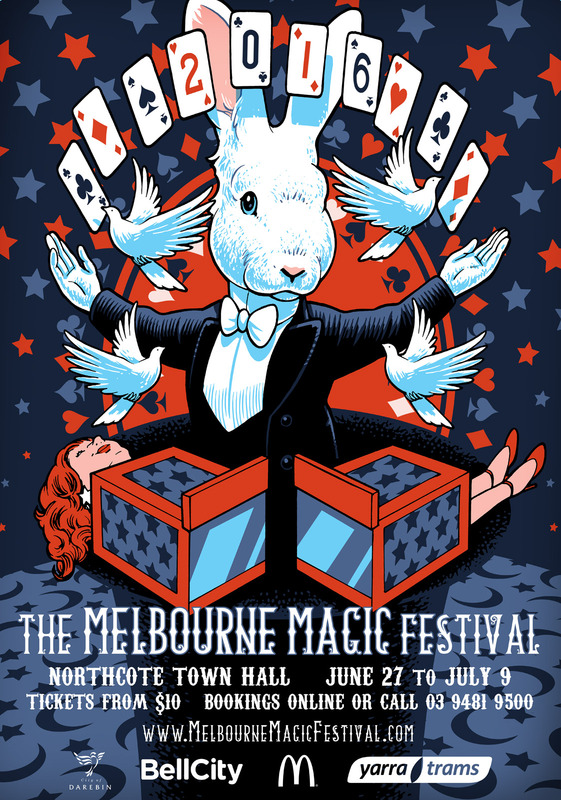 June 27th – July 9th: The Melbourne Magic Festival reappears at The Northcote Town Hall these winter school holidays with more magic than you can wave a wand at! With over 300 performances and free events from June 27 to July 9, performed by 60 of Australia’s top magicians, there is literally something for everyone! From kids shows for the very young featuring rabbits and doves, to shows the whole family can enjoy as you see people levitate right before your eyes! From shows of sophisticated sleight of hand and mind reading for the adults, to workshops were you learn the secrets of this magical art! This is the ninth annual Melbourne Magical Festival and the biggest one yet! We even have two legendary magic superstars visiting us with their astonishing shows and lectures: John Archer, comedy magician as seen of ‘Penn & Teller Fool Us’ direct from London, and the master mentalist Max Maven direct from Hollywood’s Magic Castle.